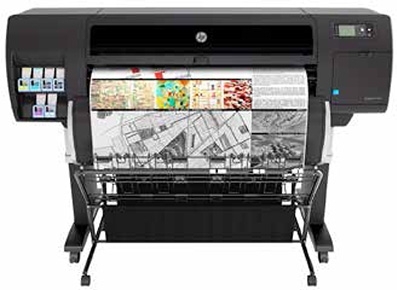 The HP DesignJet T7200 printer is designed for central reprographic departments in enterprises and reproduction houses. It streamlines print production for customers needing to print in monochrome and color — from simple CAD drawings to high-quality presentations. With a competitively low total cost of ownership, the printer provides an alternative to devices that print only in monochrome or color and light-emitting diode (LED) technologies, which can be expensive to maintain.